If you find your car is struggling to start or your headlights aren’t as bright or heater blower not as powerful it could be your battery at fault. 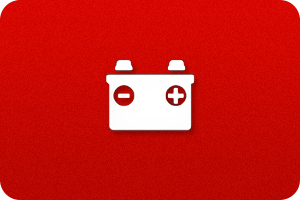 We can perform a quick check to see if your car battery is able to hold a charge. We also check your alternator is charging correctly. At J A Price Motor Engineers we will get the right battery for your vehicles make and model. We can tell you the different options available your vehicle from batteries for cars with standard electrical equipment to those that need more power for their ICE. We have a large selection of car batteries in stock so call now on 01588 63 85 85 for more information. We are able to carry out work on all different makes and models. Our mechanics have worked on Car Batteries on a wide range of vehicles. J A Price Motor Engineers believe the customer comes first. Our Car Batteries specialist will talk you through the problem and will only replace items that are necessary.